Many who are interested in selling their home ask the question, “Should I sell my house privately?” Asking yourself this question is extremely prudent. In fact, this option should be strongly considered by homeowners. Let’s take a look at why you might want to opt to sell your home privately. Should You Pay Real Estate Agent Fees? The most obvious answer for why you should consider selling your home privately in the Calgary area, or elsewhere in Canada, are the fees charged by real estate agents. Real estate agents don’t work for free, nor should they. Yet, the fees attached to working with a real estate agent are not trivial and can, in fact, add up to thousands of dollars. One of the single biggest reasons that people say yes, “I will sell my house privately,” are the real estate agent fees. These fees are not to be taken lightly. Many homeowners are stunned by just how much money they lose when opting for a real estate agent. Another issue involved in working with a real estate agent is an extended time frame. Waiting around the sell your home can be both time consuming and frustrating. Many homeowners find the process of sitting around waiting for “the call” where they discover that they have an offer to be quite excruciating. 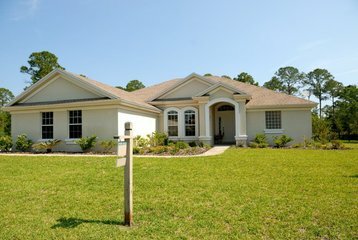 Quite often, it is necessary for a homeowner to be able to sell a home quickly. As a result, many are left wondering should I sell my house privately? Issues such as relocating for a job, foreclosure or bankruptcy or a divorce can all make selling a home an urgent affair. Real estate agents, even the very best and most motivated, usually have several clients and several homes they are trying to sell; this can mean that that selling your home just doesn’t get the attention that it deserves. As a result, many Calgary area homeowners prudently take matters into their own hands and work with a company such as Bridgedale Home Buyers that pays cash for homes. The process is fast, effective and can take pressure off of homeowners. Ultimately, those asking, “Should I sell my house privately?” should realize that they indeed have some powerful options that can serve to positively transform their finances and get their homes sold quickly.